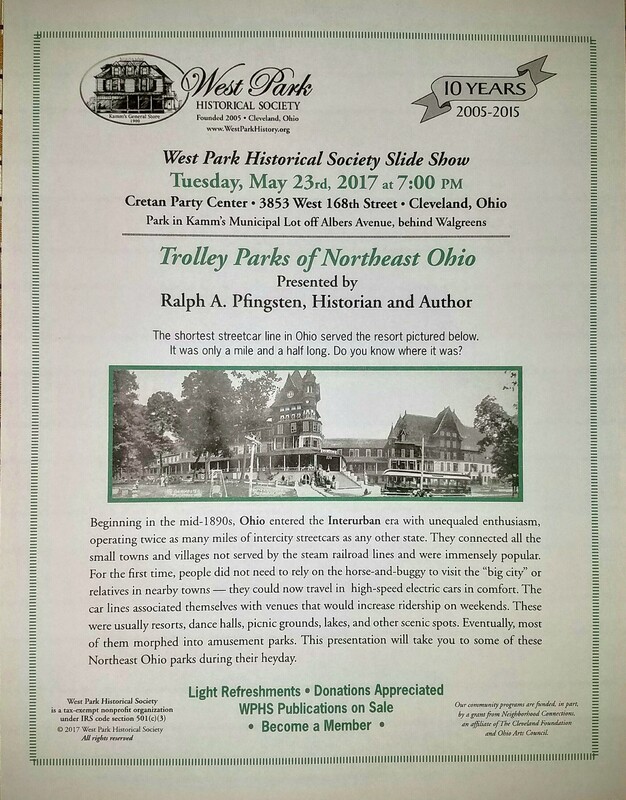 Another entertaining presentation by the West Park Historical Society! Please join us on Tuesday, May 23rd, 2017 at 7:00pm at the Creten Party Center -located at 3853 West 168th Street. 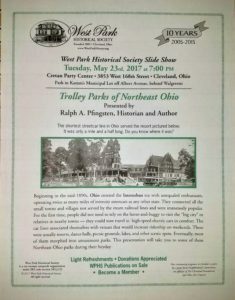 Beginning in the mid-1890’s, Ohio entered the Interurban era with unequaled enthusiasm, operating twice as many miles of intercity streetcars as any other state. Come experience those days through interesting facts and photos!